Over the past couple of months, we have been fortunate enough to uncover gems hidden away in the HDB heartlands of Singapore. Fish & Chicks is another of those hidden gems. 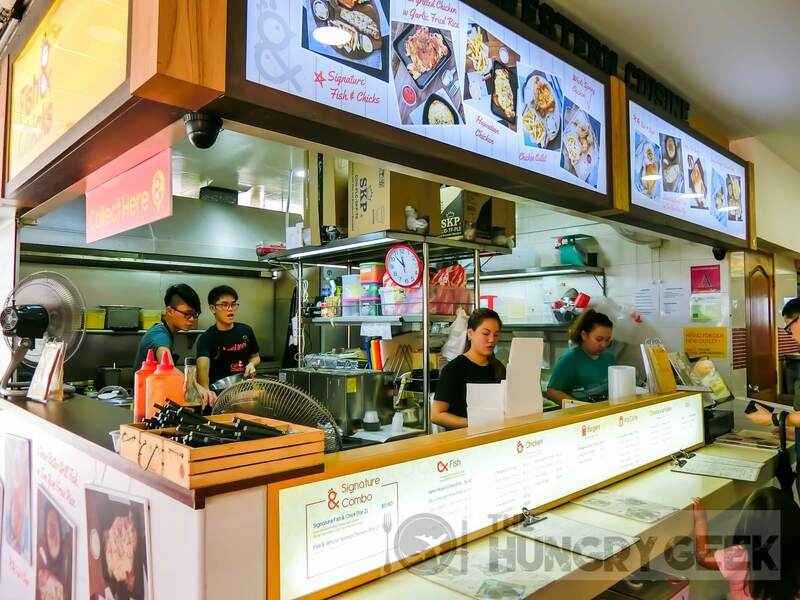 Located at a coffee shop in Ang Mo Kio that is far away from any MRT station or major town centre, you wouldn’t expect to find any super delicious food over here. The employees in the kitchen seem a bit off as well – with a multitude of young local faces that you wouldn’t usually see working at coffee shops. Yes, Fish & Chicks has professional chefs from SHATEC in their kitchen. At the helm is Chef Albert Tan, who has experience in the kitchens of Pasta Mania, Outback Steakhouse and more recently as a global trainer at Chili’s, where he would go around training the cooks at the various Chili’s outlets. Chef Albert, together with owner Justin Lim, came up with the ultimate batter recipe for their fish & chips by experimenting on the various western and Asian batters, coming up with a fusion recipe that makes the most delicious fish & chips that we have tasted to date. These guys have surpassed all the coffee shop western food stalls, and the taste of their battered dory fish is up there with the best fine-dining restaurants. When we said fish & chips, we actually meant their Salted Egg and Chilli Crab Fish & Chips. 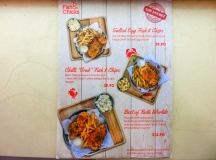 These young entrepreneurs have blended the latest salted egg and chili crab food trends into their fish & chips recipe, really bringing the taste of their fish & chips to the next level. 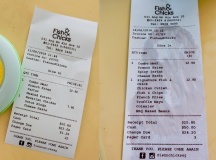 Just a couple of weeks ago, Fish & Chicks had ridiculously long queues – with at least a 1-hour wait before you could even place your order, followed by another 1-hour wait for your food! When we visited on a rainy Saturday morning, we were fortunate enough to get our order in 20 minutes. This place has the usual self-service system with the buzzer to let you know when your order is ready for collection. You may have a problem with getting a seat at this coffee shop though, with the neighbouring zi char stall reserving a multitude of tables even during lunch time, keeping them empty. 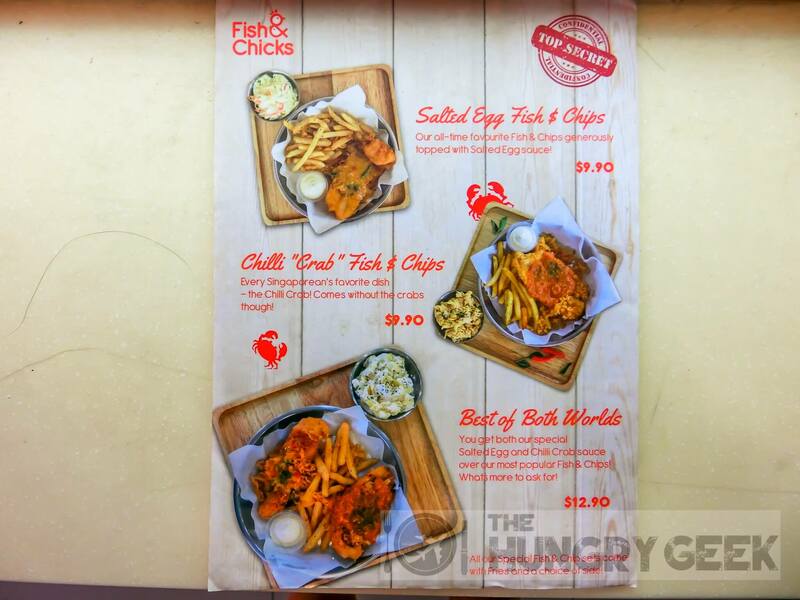 The ‘top secret’ featured menu from Fish & Chicks has three items – Salted Egg Fish & Chips, Chilli “Crab” Fish & Chips and their Best of Both Worlds dish which combines the former two! We strongly suggest that you order the Best of Both Worlds to get a taste of both their incredible sauces. The most amazing part of the fish & chips here is really the batter. It has been calibrated to the perfect crispiness and it remains crispy even after being set with the sauces for a period of time. Justin explained that they experimented with the batter from typical western fish & chips items as well as some Asian batter recipes such as the delightful prawn fritter batter. The result of their research is a superb fusion recipe that is just oh-so crispy and delicious. The perfect batter goes hand in hand with their perfectly delicious sauces. The chilli crab sauce is super fragrant and compliments the strong fragrance from the dory fish. The salted egg sauce is manually prepared at the kitchen – Fish & Chicks does not use the typical salted egg powder and as such you get the authentic salted egg texture and taste, just like salted egg sauce from the best Chinese restaurants. Well as you can imagine we thoroughly enjoyed their fish & chips. Personally I prefer the chilli crab sauce, while Sheryn favoured the salted egg sauce. In any event, we were blown away by the taste and their battered dory fish with their magnificent sauces gets a 4.6/5 rating from the both of us, putting it in our prestigious The Ultimate Taste list. If only more fine-dining establishments could consistently serve out food with this high standard of taste. Their Best of Both Worlds dish is priced at S$12.90, or you can get their Salted Egg Fish & Chips or Chilli “Crab” Fish & Chips at S$9.90 instead. It is a bit pricey for a coffee shop but this is great value if you consider the quality of the dish. You get fries and a choice of side with this dish – we had their onion rings, mashed potato and cheese pasta – we’d stick to their fries. YMMV disclaimer – we note some negative reviews of Fish & Chicks from the time when they were overflowing with customers two months back – we made two lunchtime visits on a Saturday and Thursday, and verified that when their kitchen is not exploding, the fish is superb. 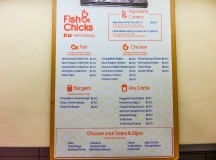 This is one of their two signature combos, and you get a choice of one fish and one chicken dishes from their regular menu. Yes, this means that you can’t choose either of their salted egg or chilli crab fish items as part of the combo. The server recommended the fish from their Fish & Chips item and their Chicken Cutlet. 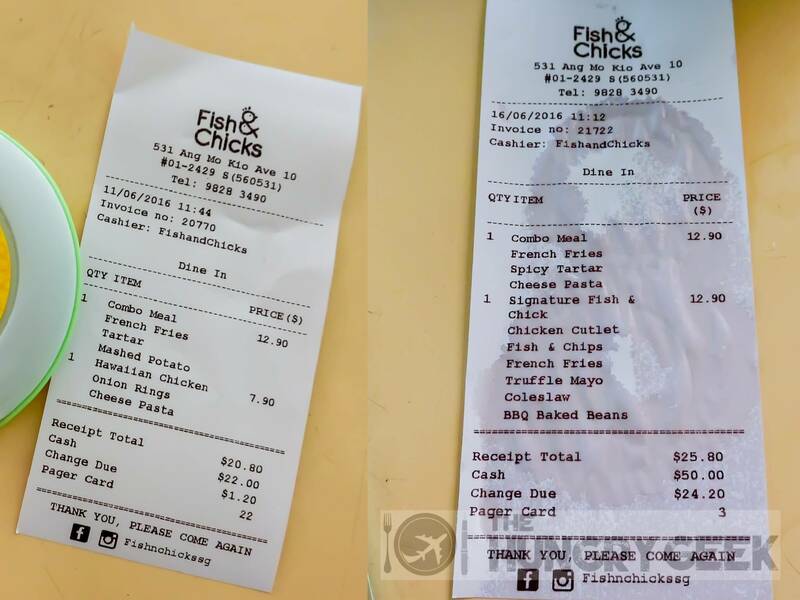 This is really the ultimate value, with a larger piece of fish and a generous serving of chicken together with three sides for only S$12.90. This easily feeds two. The piece of fish here is larger than one of the pieces from the Best of Both Worlds item, but you do not get their delicious special sauces. Without those sauces and simply with their truffle mayo dip, we rate the fish 4.4/5. It would have been perfect just slightly crispier when taken without the salted egg or chilli crab sauces. But perhaps we are nitpicking over here, this is still some super delicious battered dory fish. The chicken here had the most incredibly unique batter, with superb texture and great crispiness. The meat was nice and tender as well. While it does not stand out like their fish, we rate their chicken a respectable 4/5. As for the sides, we recommend selecting their signature garlic fried rice with their fries. Incredibly delicious battered dory fish. The chilli crab and salted egg sauces are the icing on the oh-so delicious cake. 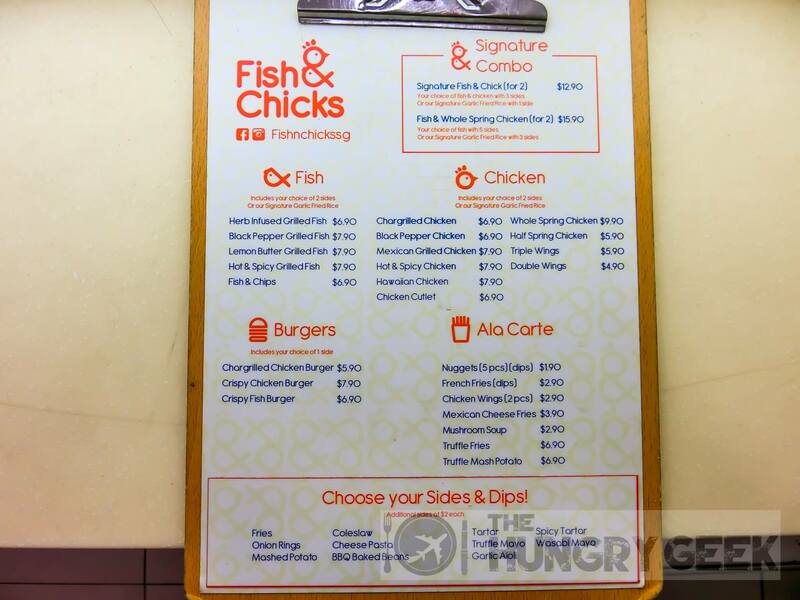 Move over Botak Jones, we can’t wait for this new kid on the block Fish & Chicks to start opening outlets everywhere. They will be opening a new outlet soon in Orchard and we are looking forward to it. This is a no-brainer, you have to try this at least once before you die. Saveur Purvis Street – Best French Duck Confit Ever In "Singapore Restaurants"